This sticker reads, "65h" in the middle of a red circle with a line going though it. 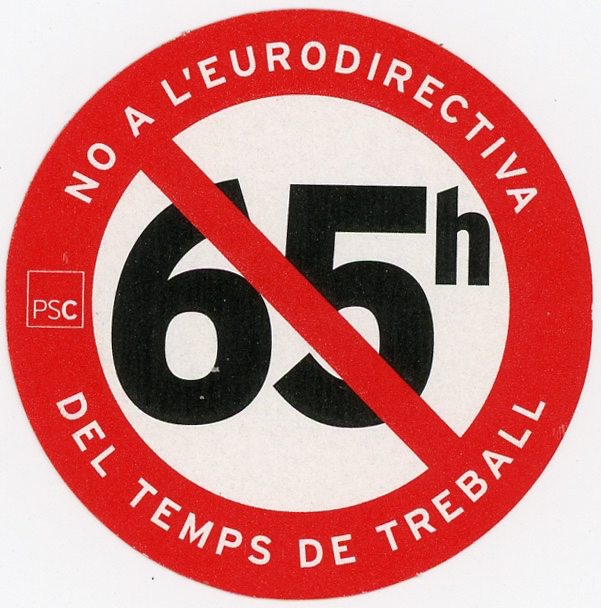 This sticker is opposing the 65 hour maximum work week that was approved by the Ministers of Labor in Spain. The proposed extension was later brough to the European Parliment where it was not passed. The Socialist Party of Catalunya will not stand for anything over the 48 hour maximum work week.